Well, this team is putting together a pretty good looking camel! And for context, we need to go back a few years. Two years ago with my colleagues at the VCU Center for Teaching Excellence, we published a white paper entitled Building from Content to Community: [Re]Thinking the Transition to Online Teaching and Learning. At that time, the strategic plan for Virginia Commonwealth University – VCU 2020 – did not even contain the word “online.” My colleagues and I understood that the academic world was increasingly being impacted by the internet, and we wished to draw a line in the sand and go on record stating that online teaching was much more than simply positioning content online. Rather, we strongly believed that online teaching required a shift in teaching practice. 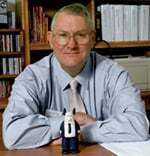 We have been influenced by Terry Anderson’s 2004 work The Theory and Practice of Online Learning. In fact, the word cloud here was built using the words from his Chapter 11, Teaching in an Online Learning Context. 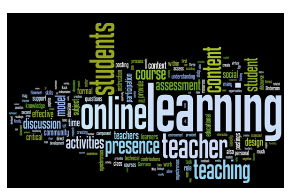 I love how serendipitously “online learning’ and “teachers presence” lined up in this Wordle, and that equal emphasis is given to students, teaching, and content, mirroring our use of Garrison, Anderson, and Archer’s Community of Inquiry model. Much has changed in the past two years, including a new president and a new provost with a vision for positioning VCU as the nation’s top public urban research university. The new strategic plan – Quest for Distinction – includes a new emphasis in online teaching and learning. Online@VCU has been launched as a move to coordinate, support, and grow online learning initiatives at all academic levels. In the past two years, we at the CTE have facilitated two online initiatives, helping 39 faculty make that transition online. We used a very intensive process involving a full week face-to-face institute, followed by an online course experience from the student’s perspective, and then consultation and peer review as their online courses were built and taught. With the increased emphasis and resultant interest campus-wide, we are moving to the next phase of developing online courses to help more of our faculty colleagues prepare to teach online. I am blessed to be working with a great tech team. Jeff Nugent continues to provide both leadership and vision to our process. Bud Deihl brings a strong sense of storytelling to our team. And during the last three months, we hired a new online instructional designer in the person of Joyce Kincannon. We have collectively spent some productive hours mapping out strategies on whiteboards before moving into production inside Blackboard. What we wish to do is develop a process that will prepare faculty members to teach online, and that involves pedagogy, course design, and experiences within an online community. Faculty members by nature come to this virtual table with content knowledge and knowledge about teaching face-to-face in their discipline, but in many cases, they find the online environment unfamiliar. They are walking into their online room and not recognizing the layout. Where are the chairs? Where is the podium? How do they circle the chairs if that is their desire? We hope through our “Preparing to Teach Online” course to make the layout and the processes more familiar. We hope to raise faculty awareness of processes, best practices, and tools that have worked for others without inundating them with so many choices that option paralysis occurs. Finally, we hope to support faculty as they both gain experience working in an online environment and construct their own course. All of us have design models that we have used in the past, but this is the first time we have collectively worked to build a single course together. There are good models out there already, such as SLOAN-C’s certification process and the development courses run by Penn State University‘s World Campus and University of Central Florida. We just do not believe it is cost effective to outsource the training for all of our online teaching faculty. Developing it in-house remains an engaging process where our assumptions are continually pushed by each other…resulting I believe in an improved product…a good looking camel … that we know will be even more improved after our first class is piloted. We do not see this as a drop-in, drop-out model. We still believe that the best approach involves developing learning communities that can work together through the process. 1. 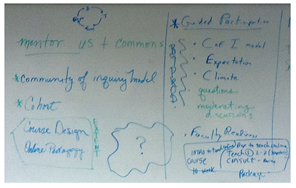 Your ideas about pre-assessment instruments that have worked for you. 2. Time commitment expectations for full time faculty moving through a process like this. 3. Cohort size. What is too big? What is too small? 4. Compensation or enticements used at your institutions. We are in the early stages, so your assistance as always would be most appreciated! Have you explored Lisa Lane’s MiraCosta Online Teaching Certificate Program for Online Teaching and the course blog Pedagogy First!? ?